Anyway, GM 8 is released with Softwrap, I bought it for 25$, installed it and it worked just fine on my Windows 7. No problems with Softwrap at all. Additionally they announced a new Game Maker competition running until end of march where people have to code a game that could run on a handheld! Limititations are on screen resolution (PSP size), input (only cursor keys, one action key and ESC) and capabilities (no external DLLs, no registry usage, no unsupported sound formats, etc.). On the home page they show the loading screen of Game Maker 8 on a PSP and Sandy, CEO of Yoyo Games, mentions in their blog that the winner programs might be shown on a handheld machine. And the Game Maker runtime was recoded in C++ recently, so maybe they got it ported to some handheld? Against all my assumptions I was productive during my holidays and got some tricky problems solved and continued with my game. Nearly all game elements are in now and working as expected. I will add the remaining elements (two to be precise) in the next few days and then it's time for the eye catchers: ship and nebula generation, particle effects and so on, intelligent game cursor (showing what you can do), menus and things like that. The last big hurdle will be the automated space fight between the humans and aliens. All those laser beams and flying and attacking space ships will be complicated, I'm afraid. We'll see. On a side note: I managed to install Windows 7 on my laptop yesterday. It took around three hours to upgrade my "old" Vista to Windows 7. Because I bought my laptop in September I got the Windows 7 upgrade for around 20 Euro from Acer. That's pretty okay. my additional task bar on the left (for my frequent tools and programs) is gone and as the web tells me it seems like I won't get it back :-( Does anyone have a good recommendation for a replacement? The game logic of They Come is progressing more and more. Next hurdle is to detect if planets are connected with other planets via space routes. Should be some simple recursive method to find out 8-) But I'll leave that task for an evening where I have more energy. Tonight I added unpassable asteroid fields. There are still some logic elements missing (scientist laboratories and their effects on the player's attack and defence values and the population rate, space rogues and their hideout, the vortex where the aliens are passing through into mankind's part of the galaxy) but that should only take a handful of evenings. Then it's time to think about the second part of the game - the (automated) end fight between humans and aliens. If that is somewhat done it's generation time and I will finally start to code all the procedural generation of space backgrounds, planet textures, human and alien space ships, asteroids, satellites and so on. Another huge part will be some balanced generation of campaigns, scenarios and space maps - right now it's just one "test map" with "everything possible in it". Finally it's about time to start the GUI stuff like menus, option screens and so on. Eye candy using TimelineFX is another must have. I don't know yet how to deal with sound and music. sfxr will most likely be the weapon of choice for all beeps, zaps, whoops and booms. I'm not sure about the music. Either I'm choosing one of the million available songs from the internet (of course asking the author for permission as usual) or I'll try what I can get out of my Magix Music Maker 2006. I just ordered the premium version for 20 Euros from Pearl. and I can create a game just the way I want it to be! [Game Dev] PlayBasic competition time again - Casual Creations! Although I'm currently not using PlayBasic to code games I'm still reading their forums once in a while. But anyway, I think the theme is great, PlayBasic is cool to code games with and previous winners / contestants get some penalties so "newbies" are welcome and have a very good chance to win a prize! And as usual the prizes are pretty good (100$ cash for first prize isn't bad)! So if you have the game idea, some spare time left and want to show what PlayBasic can do, jump over to the competition page and register (first time that registration is required before the compo ends!). Now I'm still coughing a bit but overall feeling much better compared to last week. They Come is growing bit by bit. I can discover the map with a moving rotating ship, followers are added to my fleet (although the fleet is not yet drawn) and space routes between planets can be built. The whole underlying system is working pretty good and the design of the classes seems to fit my requirements for the game. I already got the basics for advisors in. This means that you can find or hire advisors during the game play which will join you for a few levels and give you some boni. A working dummy or default advisor is already built in and working and different advisors can now be added easily. The last few days I also had another look at the RetroRemakes Framework which is a wonderful open source framework for BlitzMax to create 2D games easily. It contains many helpful classes (something similar to GameStates, a ProjectionMatrix to support automatic scaling of your game in higher resolutions, of course some fixed rate game logic code with tweening, a messaging system for cool object interaction, virtual game pads for input and more!) and looks really promising. Yesterday I even got TimelineFX working inside the framework so I could use the best of both worlds! Crazy times ahead! The Unreal 3D toolkit is available for free for non-commercial stuff too. And also the Game Creators released a version of their DarkBasic which is free too (but seems to come with an adverts window in their IDE). Need a new action RPG in the style of Fate or Diablo? Only have 20$ to spend? Go and buy Torchlight! Made by the key players behind Fate, Diablo 1 and 2 and Mythos and Hellgate:London. Those guys created Runic Games and developed Torchlight in 18 months! The game is available for Windows right now on Steam and their own website http://www.torchlightgame.com! You can download a level editor shortly and it's designed to be customizable and moddable to the max. The multiplayer version will be based on this single player version and will be released in around two years - can you wait so long? [Game Dev] Unity for everyone! The creators of Unity have decided to make their indie version (formerly 200$) available for free! 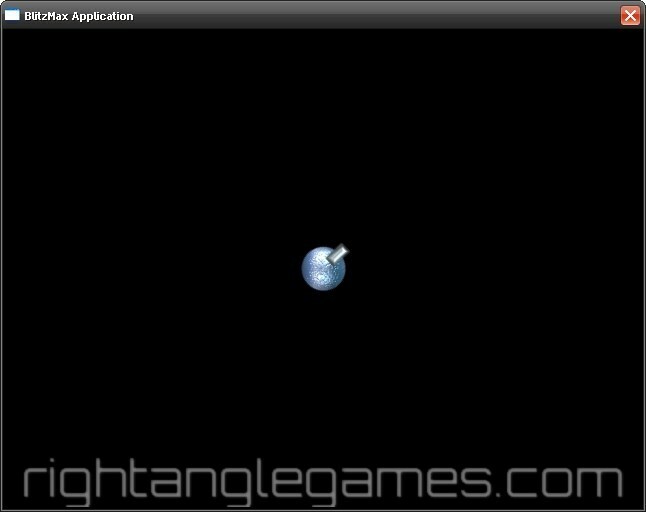 That's pretty cool as Unity allows you to create 3D games that run in a web browser, on Windows and Mac. You'll need the Pro version (1500$) to create your games also for Wii and iPhone. Have a look, I certainly will download that great looking piece of software and give it a try by walking through their 3D platformer tutorial! [Game Dev] Move it, baby! But I still found some minutes to work on They Come. My own framework is coming along nicely. I added game states (like main title, game over screen, the real game screen and so on) and got them already working. I have a first working version of a random campaign/scenario/map generator and the first rendering is also working. The class hierarchy is mostly done so now it's time to add the game logic itself. This will be one of the more complicated parts. 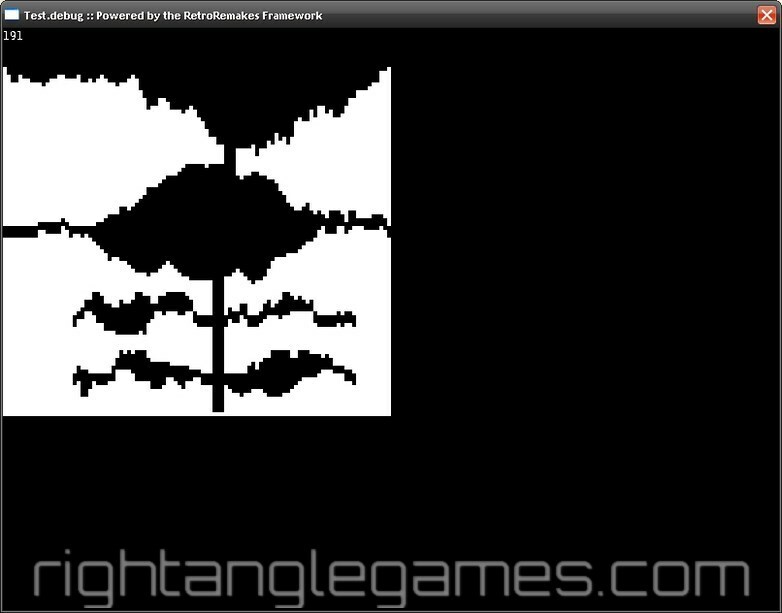 The second brain twister will be the procedural content generation. My idea is to generate the space background, the planets, all ships (tons of different ones), satellites and asteroids completely procedural. I will use some templates which will be randomly modified to create the different shapes for space ships, satellites and asteroids. Planets will get randomly generated textures colored with randomly generated color gradients. 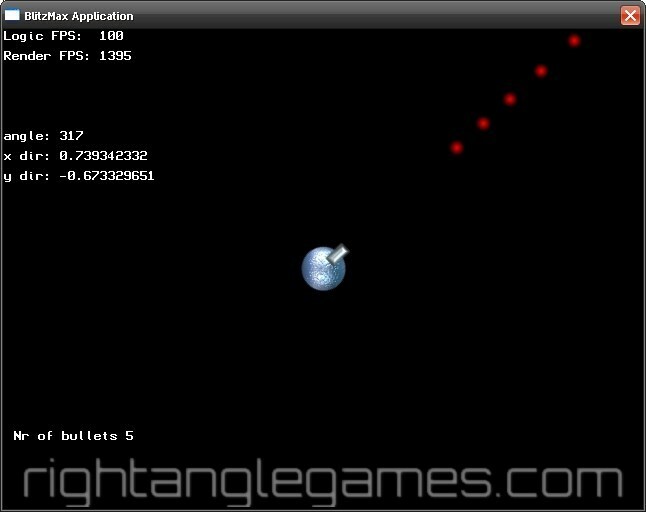 For the space background I will port my space nebulae implementation from PlayBasic to BlitzMax. [Game Dev] Do they come? Last week I started to code a new version of They Come using BlitzMax and TimelineFX and the included tween based framework. It' coming along pretty good. As usual I don't find this much time to really work on the game - just a bit here and a bit there. [Website] Search engine finally working! Although my understanding of a built in search engine is that it searches my complete web site content without any further work from my side the developer(s) of ToWeb won't change current behavior. So I sat down and tagged each single paragraph of my website (or nearly each one - let's say most of the paragraphs). If you're not constantly following the BlitzMax scene you might have missed a new online magazine featuring BlitzMax: it's BlitzMAX coder! The magazine features a lot of news, tutorials, interviews, post mortems and more. If you are just a little bit interested in BlitzMax and game development with it you should visit the site, read the first two editions and maybe give some feedback! Unfortunately summer vacation is over and I'm back home. We spent two nice weeks close to the Baltic Sea and had lots of fun! Because my development PC slowly turns into our family computer I decided it would be time for a new development machine just for me, myself and I! And because I wanted to be able to have my new PC always with me whenever I want to I decided to buy a laptop machine. Laptops that can be used for a bit of gaming in between are terribly expensive and kill every family budget so I had to make a compromise: affordable but able to allow me to play UT2004 or Heroes of Might and Magic 5. And of course I can do some game development too on this machine. I'm slowly getting back to speed. The color theme also changed a bit - I removed the blue colored backgrounds for the page and paragraph titles. I'm not sure if I'll keep it but let's get used to it for a while. Feel free to tell me if you prefer a vertical menu bar on the left side or a horizontal menu bar. You could use the comment functionality for your feedback. Or not. Of course I bought TimelineFX and had to work through the tutorial so I didn't proceed with the second part of my shooter tutorial :LOL: But I had quite some fun working through the tutorials of TimelineFX. It's a really great tool (although I miss some 'Random effect' button) and the "Making a game from start to finish" tutorial helps a lot to get used to all the features. Additionally the BlitzMax module that comes with it for free is a great start for a "fixed rate logic plus tweening" game loop as explained in my top down shooter tutorial. It contains all required classes and offers a lot of builtin functionality (like automatic movement based on angle and speed). Give it a try if you're a BlitzMax owner and user. The rest of the nights I spent playing Titan's Quest 8-) It's a great looking Diablo clone with a cool 3D engine and a nice greek mythology story line and tough enemies. Must kill that cyclopse! So after playing all night long (again) time for bed is overdue! See you next time, g'night! Next step for the second part of my top down shooter tutorial. You can read the instructions and download the source code for a version of my TDS that allows you to shoot approaching enemies. Hoho! As soon as time allows I will continue the tutorial with some sounds, some kind of level progressing, some more polishing and so on. So stay tuned, give feedback and have fun! Additionally I am currently playing around with TimelineFX, a cool particle editor and engine. You can either save created effects and load them in your BlitzMax code and play them (of course using a fixed time step loop - remember what I told you in my tutorial) or you can generate animation sequence images which you can load with any game development tool and just play them with your animated sprite routines that are available everywhere! Just go to the TimelineFX web site and look at the videos that show what gorgeous effects you can create or download the sample game Vaders which is a nice bullet hell Space Invaders clone. The background clouds and the lightning flashes are great and every bullet or powerup is an effect built with TimelineFX! You even get the BlitzMax source code to see how easy it is to use the particle engine/module! Eye candy to the max (or better BlitzMax :LOL:) - great stuff! Last weekend my company had one of it's biggest internal software releases ever! Our main system (a billing system) and nearly every satellite system were replaced, updated, modified and enhanced. So the downtime started Wednesday evening and we worked 4 days including Saturday and Sunday...no weekend for the IT this time. I mainly worked on the backend system for our customer portal, created with Webservices deployed via annotations inside EJB 3 session beans, Spring, Hibernate and Sun's Glassfish application server below. Key user test was Sunday morning and around 6 pm we decided to go live! It all went pretty smooth and right now on day 4 after release there are nearly no critical issues left. I think we can be pretty proud on ourselves! That was a great job we did! Anyway, I'm feeling good, I had a great birthday and I'm looking forward to the next 45 birthdays! [Game Dev] First bullets but no blood! [Website] TOWeb V3 is available! Oh happy day, just two days before my birthday the ToWeb people released the new version 3! 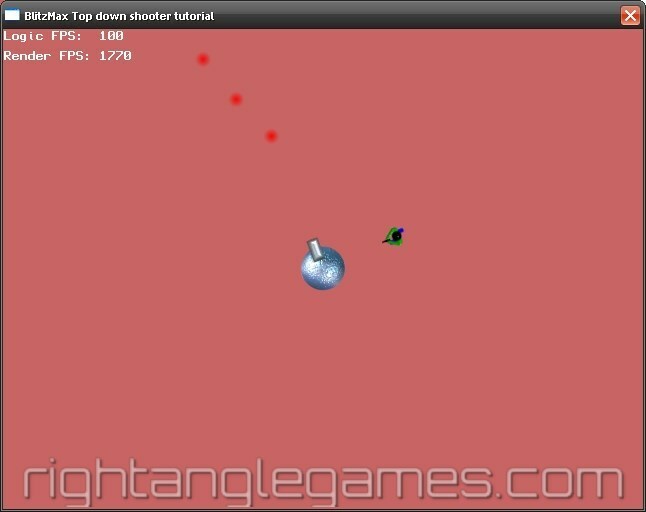 Bullets for my BlitzMax top down shooter tutorial. The TBullet class is nearly done, I mainly need to add code to the TPlayer class to allow shooting and then it only requires a bit of debugging I guess to get it working. Pretty straight forward and not too complicated. website creation tools: seems to be my usual time of the year and I'm looking around if there are better tools to help me create and update my website. I had a look at Textpattern which is a nice CMS, PHP and MySQL driven (as usual). Looks simple with some templates and plugins. Not as huge as Wordpress or Serendipity and with a nice builtin online text editor where you can add text in a Wiki style, similar to my current tool TOWeb. [Game Dev] Flash game development? Friday night I had a quick look at Flash for game development. I downloaded the free Flex SDK from Adobe, followed by FlashDevelop which is a nice (Windows only) free IDE for Flash development and also some Adobe Flash player debug versions. Finally I downloaded Flixel which is a nice little library to help you creating Flash games. Only half an hour later I got everything installed and setup (just follow the tutorials on the FlashDevelop and Flixel sites) and I successfully compiled the demo game of Flixel! Pretty cool I must admit. Don't know if I will continue the Flash way some day - it was just a nice little experience seeing that it was pretty easy to get everything working. it does not support HW acceleration (at least I've never heard about it) and thus lacks all the eye candy. coding platform independent games that run in an ubiquitous environment (a Flash player is installed in nearly any browser around the world). [Game Dev] First part of BlitzMax tutorial finished! I declare the first part of my top down shooter tutorial for BlitzMax finished. Feedback, suggestions and enhancements are highly appreciated! Some more paragraphs made it to the top down shooter tutorial. I added code for the TPlayer type and it's explanation and also added the modified main loop code. Finally you can download the first part of the tutorial at the bottom of the page. After reading the tutorial for several times now (proof reading while adding new content) I detected what was nagging me all the time. I didn't like the implementation of the TFRLTimer class. The main class in it's main loop had constant access to some fields of the TFRLTimer and even modified them! This breaks many OO rules of course. So I just had to refactor the class. And while I was at it I also added some FPS code to show the amount of logic update calls and render calls per second. I inserted a refactoring paragraph into the tutorial before starting to explain the new classes TCoordinate, TGameElement and TPlayer. How do you like my game logos on the right? I also added the built in search engine of TOWeb to a panel frame on the right. Give it a try. I still need to feed more keywords to my pages and their paragraphs but it's a nice feature to use. One thing I also want to do is to create some graphics teasers to promote my own games a little bit with nice images on the panels on the right side. But sooner than later I present my first results here - you have been warned! Feedback is highly appreciated as usual! I put the first paragraphs of the BlitzMax tutorial online. Have a read and maybe give me some feedback. [Game Dev] Another tutorial is in the works! Recently I've been kindly asked if I could do a BlitzMax tutorial (greetings to Leon ;-)). We quickly agreed on some simple game to be created in the tutorial. It will be some kind of top down shooter where the player controls a rotating turret in the center of the screen and has to shoot different enemies that approach him from all sides. The game gets more and more difficult by raising the speed of the enemies, introducing different enemies that take more hits and so on. You can follow the progress here. I'm not yet satisfied with the current results but it's a start. Some fine tuning is definitely required to make all areas of the caves explorable. But I'll get there. Next big task will be to fill the solid areas with different sized rocks. I have no idea yet how to get there. One aim is to assure that the algorithm uses many of the different sized rocks and leaves no visible gaps...but how do I tell the algo which rock sizes are available and which rock to choose or not. Especially if only a certain sized area is free and needs to be filled with a rock. Feel free to contact me if you got a nice idea for the algorithm! Whoa! More than four weeks without an update of this site! This is a good indicator how busy I'm currently. But still I found a few minutes once in a while to have a more detailed look at BlitzMax. I started implementing my Scuba Dive map generation algorithm with BlitzMax which is a nice little exercise to get used to the new language and IDE. And PlayBasic misses OO features (or to be more precise I miss OO features in PlayBasic) and it is not multi platform. So what about BlitzMax now? OO? Yes. It does have classes (named types), knows inheritance, static fields and methods (named globals and functions), instance fields and methods, there is some reflection functionality, there are abstract classes and methods and more stuff. Compared to Java and C# it still misses a lot of OO features but what is there is sufficient enough to comfortably code games in it without missing too much. Check. Not C++? Check :LOL: It's some Basic dialect with a syntax looking like a mixture between Java/C# and Pascal and several other languages. Generate executables? Yes, BlitzMax is a full compiler language which can create executables, dlls and modules (add on modules for BlitzMax itself). You can even include media files and other required resource files into the executable using the incbin command! Check! Multi platform? Yup. Windows, Mac OS and Linux are all supported. Check. 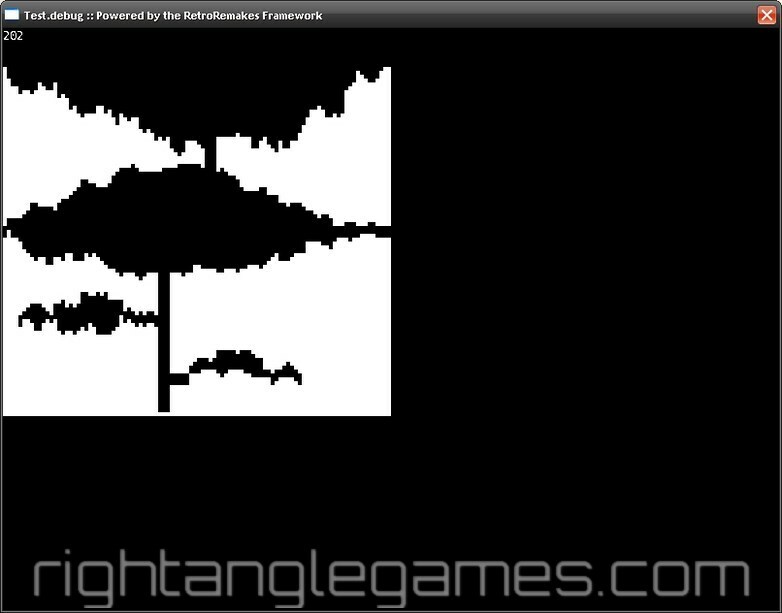 Graphics: 2D only, but native OpenGL if you want and DirectX under Windows. The 3D module is going to be released as open source under some LGPL or BSD license! Additional Check! So there must be some cons, right? The price. 80 bucks are 80 bucks and as I have to pay taxes in Germany for a digital download it's pretty close to 80 Euros! Ouch! The IDE. I paid additional 15 Euros to get a proper IDE that covers most of my needs (BLIde). Anyway, I'm giving it a try and currently fiddle around with some game ideas and a nice little framework (Retroremakes framework). [Real life] A happy new year! I know I'm one day late. But do you care? All the best to all of you for 2009!